Based on the latest technology, the RDP service is provided on Windows Server 2012R2 and 2016 operating systems. Our clients can benefit from the dedicated hardware resources from our RDP. This service has been offered with different plans and optimum options tailored to meet client needs and preferences. Like other services from 1Gbits, RDP can be upgraded anywhere at any time. After the payment is done through one of our multitude of payment gateways, the service will be activated within 30 minutes. 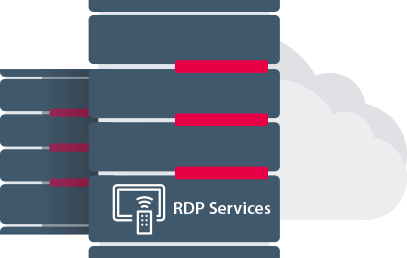 RDP services are available in 4 plans. Choose one of the plans and set your RDP in less than 30 minutes. Read through the brief description below for information on our VPS, dedicated servers and ordering process from registration to delivery. All 1Gbits dedicated servers are based on Intel and Supermicro Enterprise hardware that brings high stability and complete efficiency to our bare metal servers. Buy RDP online to experience the best eprformance. 1Gbits spreaded out its network to more than 20 world class Datacenters located in more than 15 countries and 3 different continents that brings 99.9% uptime and decrease the latency to the lowest possible. Buy RDP from 1Gbits to experience the best quality and performance. 1Gbits Professional support team is always online and accessible through live support chat, opening tickets or by sending an email to our support department. Our support team will always get back to you with the best possible answers . Learn more about our RDP exclusive features. Choosing from a wide range of operating systems belonging to Windows client and Windows Server families, including Windows Server 2012, 2012R2, 2016, 2018R2, and Windows 8, 8.1, 10. Buy windows RDP from 1Gbits. Providing additional hardware resources upon client's request and upgrading the current plan in the shortest time possible after the ordering process is complete. 24/7 support services for all clients via tickets, phone calls, Skype, and online chat. In order to enhance your user experience with our VPS services, dedicated servers and improve your knowledge and awareness. Our professional team will provide you with appropriate useful content on all 1Gbits services and related articles.